Noble lords ready to do the king's bidding will reach for swords such as this. Answer the call to arms as you sweep the country in search of brigands and other foreign foes. 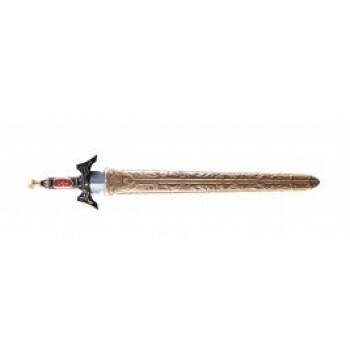 Includes sword with black handle and gold highlights, and gold sheath with gold chain for attaching to belt.